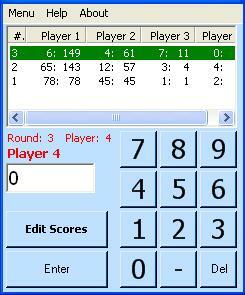 Summary: Super Score Board to use when playing cards, Scrabble and any other games where players get scores. Manages up to 20 players in 99 rounds for 50 different types of game and saves your score summaries. You've Scored Pro is the next generation of the popular You've Scored. It is full product that you can use when you are on the move and only have a pack of cards or travel scrabble. It lets you throw away the scrap of paper and pencil and use your mobile device to keep track of the scores. 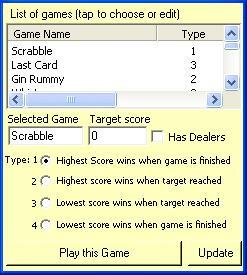 You've scored allows for up to 20 players in games with up to 99 rounds and up to 50 different styles of games that you can use or edit (Scrabble, Uno, Whist, Last Card, Pictionary etc. etc.). You can edit the scores at any time and then continue playing. 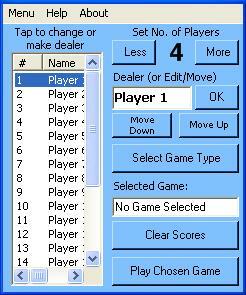 When playing cards you can select first dealer and it will track this for you and you can save your scores by game, date and winner and view the leader board at any time. The wider and deeper score board allows you to swipe across and view previous rounds at any time and the current score is always shown at the top of the screen. You've Scored Pro has many more features than You've Scored but it may be worth having both on your phone. They use different data files so they won't clash. If you are in Programme or Project Management then go to www.PiccoloConsulting.Co.Uk for other applications and latest versions of You've Scored. Great app. No more looking for a pen and paper to keep your score. The app keeps up with everything including who the dealer is. It will even save your game.